Look hairless without turning bald! 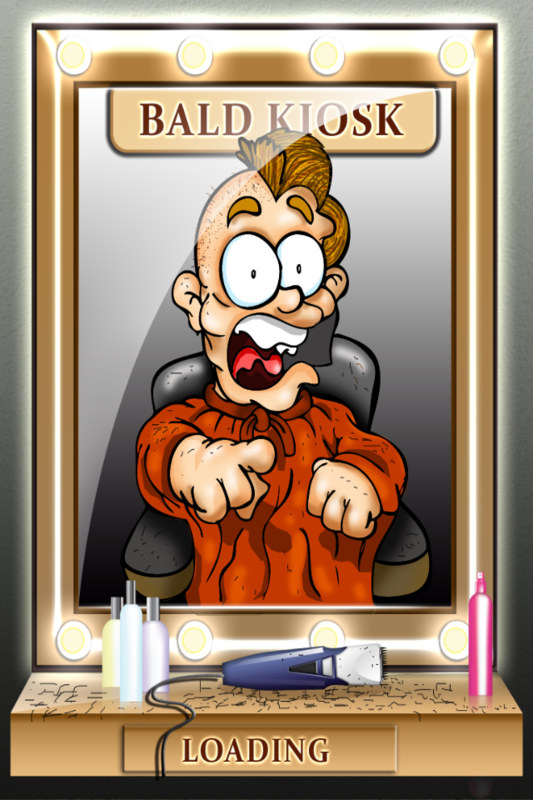 Lots of fun with this hi-tech app that shaves your head. Take care of your hair much better, knowing how you might look. A new visualization app that adds the effects of hairlessness to any frontal photo. 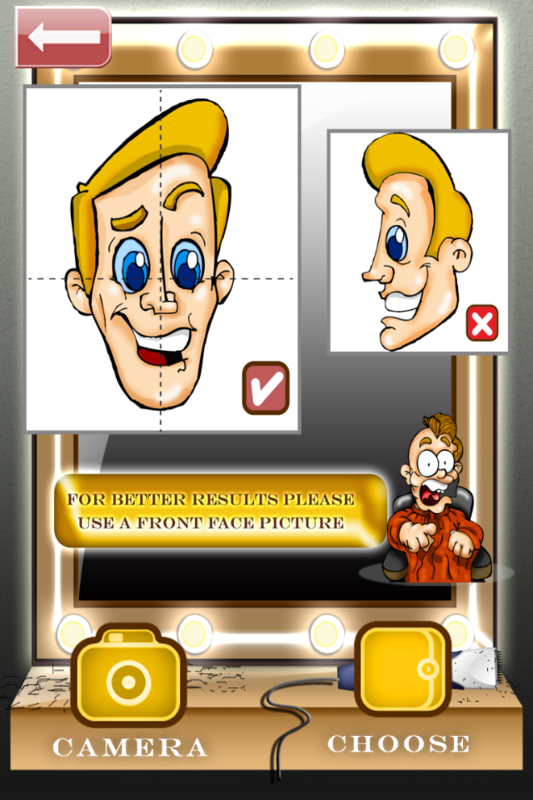 The app employs automatic face recognition to detect the eyes, mouth, and chin, and advanced image processing to simulate how that face would appear without hair. Photos may be taken from the Gallery or camera, and shared using Facebook, Twitter, eMail, or MMS (from the picture gallery, once it's saved). The app includes both automatic and manual controls, and works with any iPhone, iPad, or iPod Touch. ✔ Share results from within the app using Facebook, Twitter, eMail, or MMS (from the picture gallery, once it's saved). 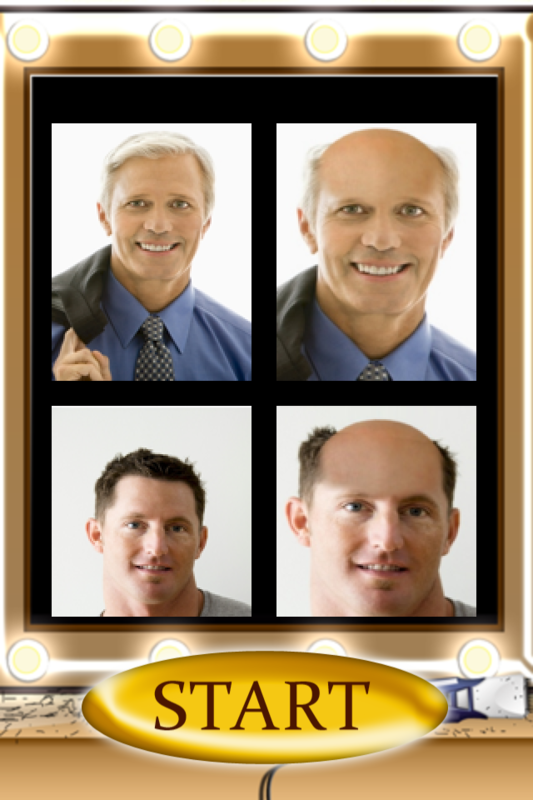 Whether the subject finds it horrifying or hilarious, Bald Kiosk © HD gives pranksters the ability to automatically add the effects of hairlessness to any frontal photo. For best results the developers recommend the use of good quality photos, taken in close-up, at a full-frontal angle. 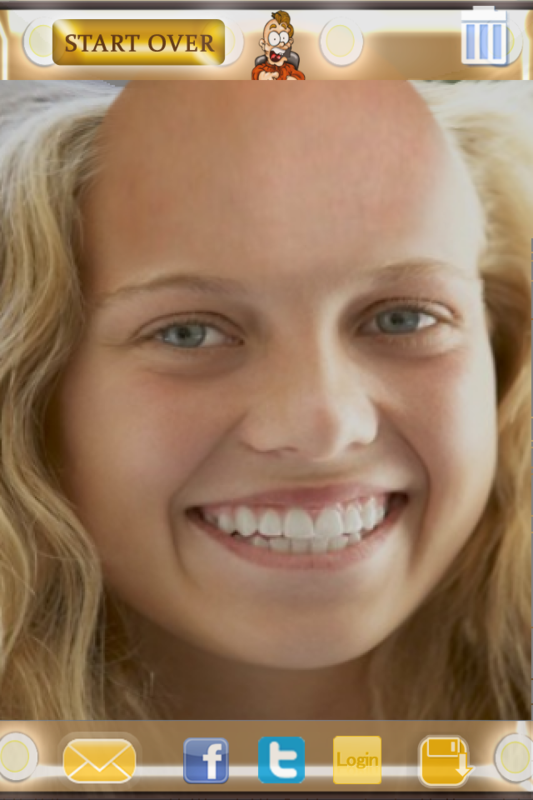 It is also helpful if the subject's head is not tilted, and they should be smiling. The 'Lite Edition' will permit you to see how you would look if you had lost the hair. If you want to save and share these pictures using Facebook, Twitter, eMail or MMS (from the picture gallery, once it's saved), please upgrade with an In-App Purchase. 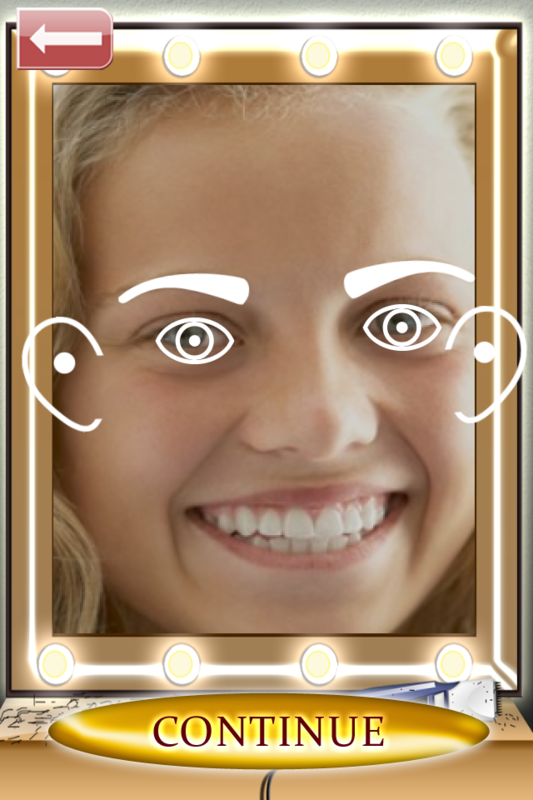 With these conditions met, the automatic facial recognition of the app locates the position and dimensions of the eyes, eye brows, and ears. Be ready to look your appearance. Look below at the samples! English Improved social sharing capability.